We are in this business since 1982.Our business is all over India and we believe in home delivery Services. 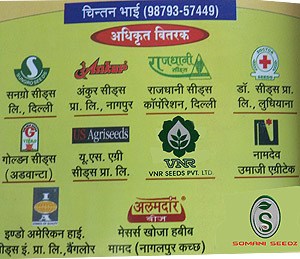 We are authorized distributor of various Companies related with seeds. Our motto is "Growing Together Is Success". We are Manufacturer & Distributor of Hybrid Seeds, Hybrid Bajra, Wheate, Till, Hybrid Castor, Paddy. Fodder Seeds - Rajka Bajri - SSG1051, 3 Years Rajka Seeds. 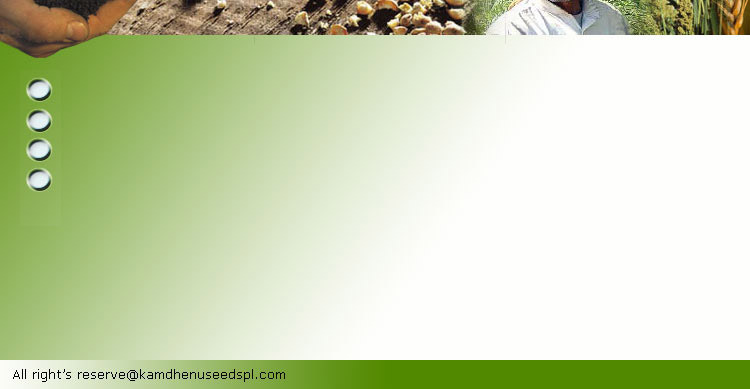 We are distributor of Hybrid Vegetable seed of good quality.